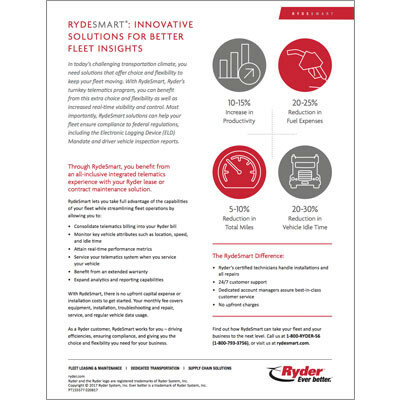 Through RydeSmart, you benefit from an all-inclusive integrated telematics experience with your Ryder lease or contract maintenance solution. In today’s challenging transportation climate, you need solutions that offer choice and flexibility to keep your fleet moving. 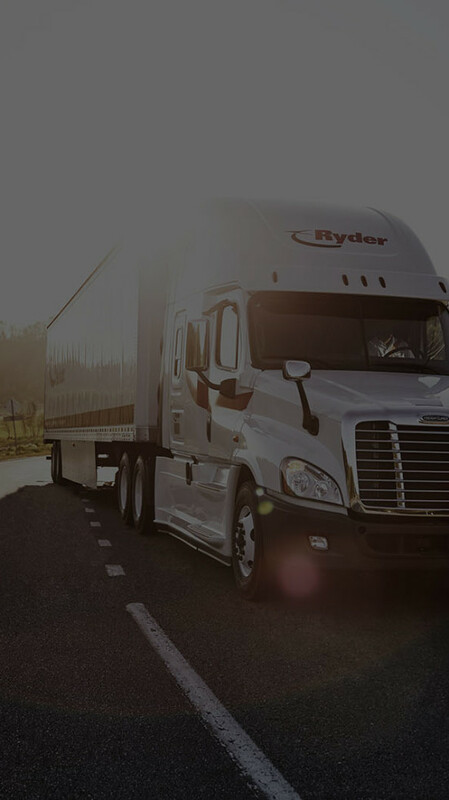 With RydeSmart, Ryder’s turnkey telematics program, you can benefit from this extra choice and flexibility as well as increased real-time visibility and control. Most importantly, RydeSmart solutions can help your fleet ensure compliance to federal regulations, including the Electronic Logging Device (ELD) Mandate and driver vehicle inspection reports.